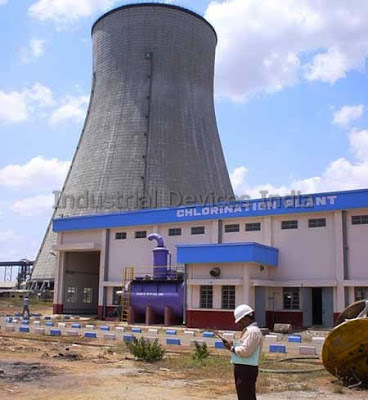 Industrial devices India Pvt.Ltd is the fastest growing chlorination system manufacturers in India , which offers clean water service to its clients . With rapid urbanization all over the world ,pollution level has increased drastically affecting the precious water resources in all the countries. mitigate the effects of chlorine leakage and control it, are self contained air breathing apparatus, leak detector, safety shower, eye wash fountain and ventilation fans. Chlorination of water is needed in many places ,mainly in areas where there is scarcity of water and impure water needs to be purified by chlorine so that not even it can be used for normal daily purposes but also for drinking purpose. Industrial devices India regularly export chlorinators to countries like UAE, Egypt, Iraq, Iran which are located in dry and arid geographical locations. They have supplied over 5000 chlorination system in India and all over the world. Their chlorination plants ranges from 250 gms/hr to 1000 + Kgs/hr. The chlorinators which they offer are available in small and large size , with the necessary accessories to be used for the effective and efficient functioning of the system. The chlorinators are used in application areas like in central drinking water treatment systems, cooling water treatment, pharmaceutical formulations among other industrial applications and the accessories that are used are aiding valves, chlorine gas filter, contact pressure gauges, pressure reducing valves among others. The chlorine dosing system is highly effective as it monitors the amount of chlorine needed to purify water as excess of chlorine is also not good for health . It ensures that the measured amount of diluted chlorine is added to water to be suitable for human consumption. The chlorine dosing system manufacturers in India are mainly targeting the semi urban and village areas for supplying the chlorine doser as these areas are suffering for many water borne diseases due to unavailability of clean drinking water. They also offer gas chlorination system which is mainly used for public sanitation and commercial purposes like in water and sewage, thermal power station or seawater desalination plant. Industrial devices India provides a wide variety of chemical dosing pumps and also professional guidance on pumps and controllers to be used as per the specific requirements of the clients. The demand for chlorinator manufacturers in India is bound to increase as an acute shortage of water looms in many countries in the coming years. With this farsighted vision, Industrial devices India has the mission of reaching every nook and corner of India so that it can meet the demand of clean water in general public. This service has come a long way and has received acceptance among the Indian people. Industrial Devices (India) Pvt. Ltd. is one of the leading Chlorination System manufacturers in India. Established in 1980 we have supplied over 5000+ chlorination system in India and abroad. We are headquartered in New Delhi with our manufacturing facility, administrative office, design office and servicing department here. We also have an office in Chennai, Tamil Nadu. The industries where our systems find their applications are numerous. Basically, wherever large amounts of water need to be purified at the least cost, we are relevant. Some such domains are Municipal Corporations, Thermal Power Stations, Public Health Departments, Chemical Paper Pulp Industries, etc. We also regularly export our chlorinators to various countries across the globe like UAE, Egypt, Iraq, Iran, South Africa, Burma. We design, manufacture and commission Chlorination Plants ranging from 250 gms/hr to 1000 + Kgs/hr. Our products include Vacuum Operated Chlorinators, Absorption tanks & towers, Steam or Electrically heated Chlorine Evaporators/Vaporizers, Chlorination accessories like Roller Supports, Manifold, Lifting Beam, Valves etc. We also manufacture other safety items such as Chlorine Leak Absorption Systems, Chlorine Leak Detectors, Emergency Repair Kits to name a few. The Directors of the company have each been in the field of Water Treatment through Chlorination for more than 40 years.